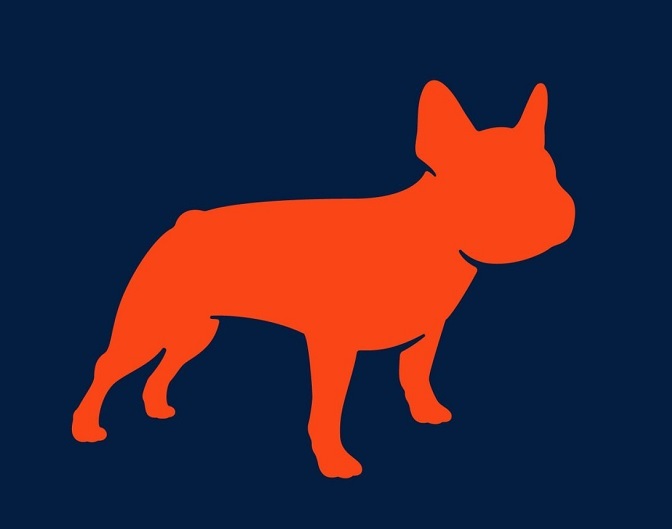 EARLY-STAGE Studio Bank brands itself with an iconic French bulldog and aims to serve entrepreneurs and other Creatives in Nashville and beyond. The de novo bank recently added to its relationship-building team an investor, entrepreneur and mentor with an earnest, yet relentlessly sober mien that reminds us of a numbers-man-turned-band-manager who loves his work and keeps an eye peeled for the next Beatles. Enter Phil Shmerling: He's the button-down 37-year-old who seems a bit older. He's the guy who is using his analytical skills, network-spanning savvy and his affinity for innovators, plus a stint as a Morgan Keegan analyst, experience in family businesses, and a business degree from Indiana University to chart a path deep into the Nashville entrepreneurial ecosystem. Shmerling was recently named senior vice president and relationship manager for two-year-old Studio. For Venture Nashville readers, it's arguably more important that Shmerling also succeeded in creating InCrowd Capital, which originally had both an Angel-investor network and an investment fund. Last year, Shmerling exited the Angel network through an arrangement with AIM Investor Management Group in Alabama, as VNC previously reported. Earlier InCrowd coverage here. However, Shmerling retained his fund and his investment portfolio, which now contains interests in 10 active companies, following two successful exits and two shuttered companies from among its total 14 bets. Shmerling said that, in his view, at Studio Bank he is in very real sense following-through on the same broad objective he had held with InCrowd: "Getting entrepreneurs the resources they need to succeed." Shmerling emphasized that during six years prior to joining Studio Bank, InCrowd looked at an estimated 1,000 companies, ultimately investing in only 14. He said that ratio of investments underscores a reality that he is intent on conveying to entrepreneurs, whether in scalable tech-centered ventures or more conventional businesses, no matter the sector and no matter whether the focus is goods or services. He pointed out that it is now well known that only 3% of U.S. businesses of any type succeed in obtaining capital from outside financial sources, including institutions like venture capital firms and Angel groups, or from professional Angel and other individual investors. Clearly, especially in the early stages, it is internally driven "organic" growth, plus funding and related services from bankers that represent the most likely options for 97% of businesses. "The conversation is way too focused on institutional and professional sources of capital," Shmerling added. Underscoring the point, he projected it will take "20 to 30 years" for institutional capital resources for startup sectors other than healthcare and music -- which are already well supported -- to become equally available for other business sectors. Asked by VNC whether he believes such non-healthcare sectors as Sports, Gaming and Fintech seem likely to reach critical mass and enjoy reasonable access to institutional capital, Shmerling said those are probably among logical growth sectors; but, as in healthcare and music, their fates will depend largely on the virtuous cycle of successful exits by founders who then deploy some of the wealth they have earned into new ventures and new funds. Meanwhile, Shmerling said he believes only a small portion of bank executives have deep understanding of distinctions among types of institutional and professional capital, where it lives, and what strategies early-stage companies should use in approaching the capital gatekeepers. Without such knowledge, a banker is left with few options for early-stage companies that can't show, say, three years or more of profitable operations, while VC executives are invariably looking for rapid growth of traction in the business that few startups can honestly justify. Shmerling said that he is eager to help Studio Bank customers design funding strategies, as well as such basics as bank financing, cash management, valuation and exit scenarios. He noted that, much as he does in his role as a mentor at the Nashville Entrepreneur Center and as mentor in residence for The Wond'ry Center for Innovation & Entrepreneurship at Vanderbilt University, he will attempt to assist bank clients and non-clients, alike, time permitting. Beyond that, without disclosing details or exact timing, Shmerling said Studio Bank will soon roll-out additional products and services for businesses with owners who meet Studio's bank-relationship criteria. This story will be updated, as warranted. With his wife and two pre-schoolers, Phil Shmerling lives not far from his work in Davidson County. His LinkedIn is here.